New Look has a huge range of vacancies. There are of course the in store retail positions where you will assist the customers face-to-face. In addition to the customer service roles where you’ll be part of New Look’s front line in delivering excellent customer service. There are also Supervisor and Manager roles within the retail stores if you’re looking for a great retail career! 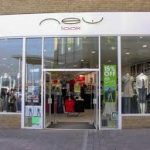 New Look is first established in 1969, New Look is a vibrant fashion retailer that has more than 800 stores located right across the UK, Ireland and mainland Europe. Its mission is to be the value fashion brand of choice, thereby making it a company where staff can develop a dynamic career. The company is still expanding in the UK, Europe and beyond, making the opportunity of an international career possible for those who are ambitious enough. New Look states that it is possible for its staff to enjoy a variety of roles if they are hard working and passionate about what they do. New Look head offices in Weymouth and central London also have roles in Buying, Design, Merchandising, E-commerce, IT, Corporate and Social, Finance, HR, Property, Marketing and Operations supporting the activities in high street stores and the ever-expanding online shopping systems. There are always New Look jobs for right candidates. New Look is committed to developing the skills and careers of its staff through regular training and secondment opportunities. The company has a policy of growing its own managers and senior staff. Quick progression is encouraged if you are a hard worker who is committed and enthusiastic and can demonstrate your potential. The company sometimes also has vacancies in its central support functions at its head office in London. These career functions include IT, buying, marketing, finance, HR and merchandising. 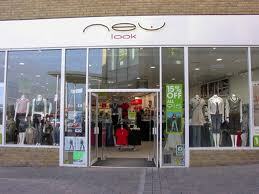 New Look also have their own distribution team where they employ the staff directly in Newcastle-Under-Lyme. The distribution centre is vital for the smooth running of the stores, and employees work 365 days per year, 24 hours per day so through the night to keep the stores stocked up. The company’s average hourly rate of pay for shop assistants is about £6.54. New starts will receive less but can work up to a rate of pay of more than £7.00 per hour. The company also offers a pension scheme, an annual bonus and a staff discount. Read more about New Look salary. New Look regularly recruits sales assistants. If you are interested in getting into fashion retail, you should visit your nearest store and ask for an application form. Simply complete the form and return it to the store. If a new store is opening near you, you should find out where the closest store to it is and ask for details of the kinds of vacancies that there will be at the new site. Full details of and information on store manager and head office posts are advertised on New Look’s website (www.newlookcareers.co.uk). The company doesn’t have a formal graduate recruitment programme but is considering setting one up in the future. Read more about New Look application form. The company is looking for people who are enthusiastic, hard working and flexible so you should emphasise these qualities if you are invited to interview. Explain that you are keen to learn and develop and that you are interested in all aspects of fashion retail. You should also describe how your previous work experience has give you valuable skills in team working, communications and using your initiative and state why you chose to apply to New Look for a job. Aligning your answers with the values that the company expresses on its website should also help you to be successful. Read more about New Look interview. Hi, my names Lucy Brown. I am looking for a full time job at New Look, it would be more precisely to the ones in Leicester City Centre, thank you. hello my name is Anna and I’m 15 and will be 16 in three months I live in Southampton and I’m looking for a part time job on Saturday’s and during school holidays, I am interested in retail jobs mainly in Southampton as its closer to where i live. Hope to here from you soon. thanks.